Fluttershy. 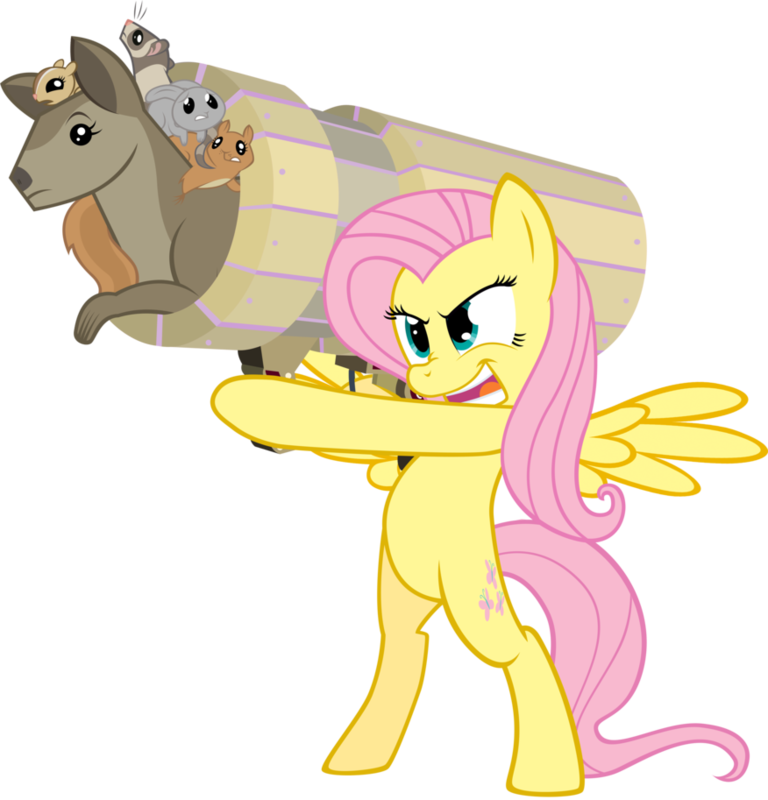 I don't know if she's capable of generating any hurricanes, but she's the only pony in Equestria who could politely shoot you in the face with animals. Oh deer.